December has been a wonderful month, Rosalie and I have done lots of fun crafts and activities as well as festive baking. We have also celebrated Rosalie’s third birthday, which was a relaxed day of present opening, playing with toys and eating cake. And of course we’ve had the big day itself which was amazing this year as Rosalie really understood what was happening, and it was just perfect hearing her find her stocking on Christmas morning then drag it down to our bedroom and open it sat on our bed – a perfect family Christmas morning. With less than a month until my due date, this could be the last family portrait of us as a family of three! Exciting, and a little bit scary wondering how our family dynamic will change and how Rosalie will cope with having a little sister. Finding presents in her stocking on Christmas morning! Mince pies. Well all festive food really! My growing family in December. Well what an exciting way in which to start the new year! I’m so looking forward to that first photo of all four of you and if these are the last as a family of three then they’re beautiful shots with which to mark the end of the era! Happy New Year and good luck!! Gorgeous photos. 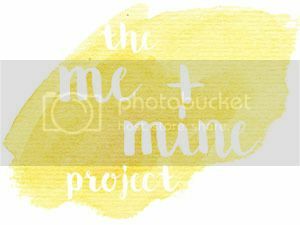 I cannot wait to see your newest addition in your Me & Mine photos. Jenna recently posted…Preparing for a home birth: What do I need?